Johnson began his career working as a draftsman for the architect Edward Frye. His first project of note was Court Street Methodist Church, in 1899—the same church that would commission his last known project, in 1966. His sixty-nine-year career is remarkable in its length and, as it evolved and flourished, in its breadth. After his time with Frye, Johnson began a wise professional-development path: he worked for a building supply company, took a three-year correspondence course in architecture, attended classes at Piedmont Business College, and again worked as a draftsman, this time with James McLaughlin. In 1909, Johnson became a partner with McLaughlin and Charles G. Pettit Jr. The following record of his work dates from the beginning of the McLaughlin, Pettit & Johnson firm. 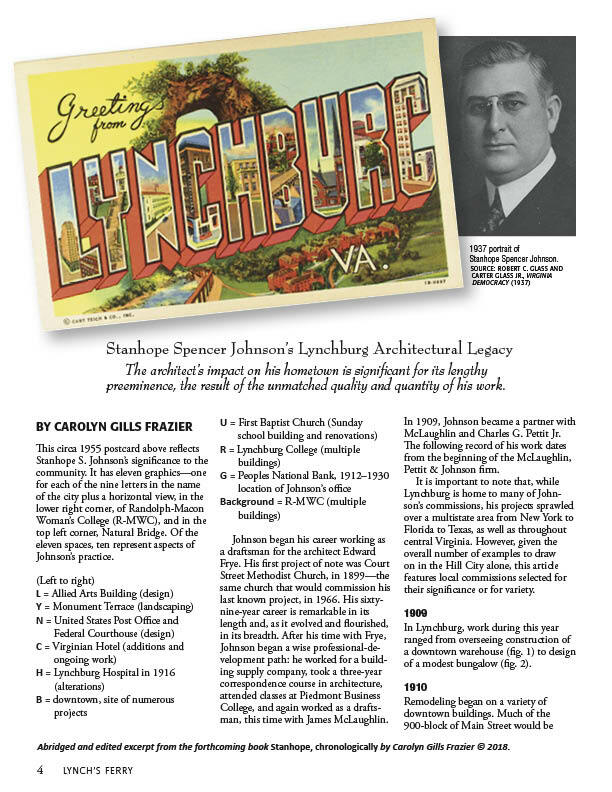 It is important to note that, while Lynchburg is home to many of Johnson’s commissions, his projects sprawled over a multistate area from New York to Florida to Texas, as well as throughout central Virginia. 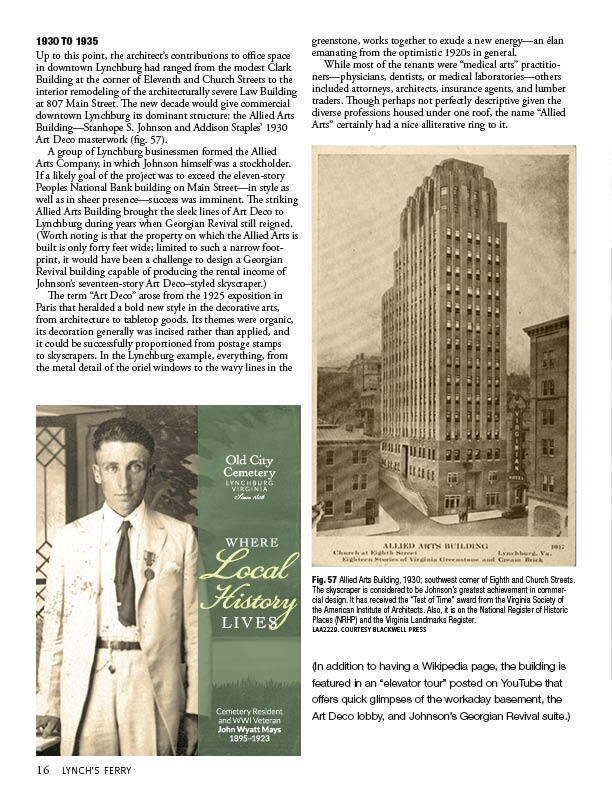 However, given the overall number of examples to draw on in the Hill City alone, this article features local commissions selected for their significance or for variety. Next page: Should They Stay, or Should They Go?